Having a successful holiday party at home doesn’t mean you have to stuff your house like a turkey. And there’s certainly no need to hire caterers or mount a photobooth. In the chilly season, it turns out that coziness and the perfectly curated guest list are the best way to celebrate the most wonderful time of the year. The traditional potluck is a great way to host a small group—it encourages everyone to show off their best sides and saves you some work. 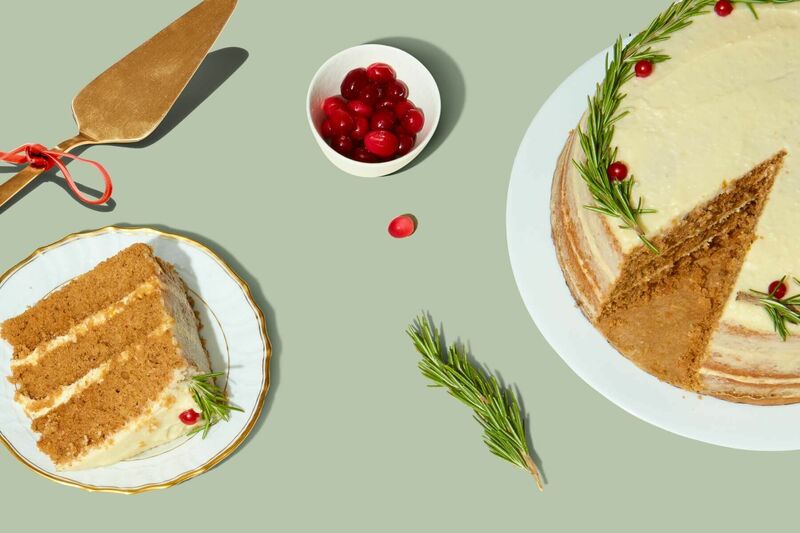 Take care of the main course and leave the rest to your guests: assign appetizers, side dishes, cocktails, and desserts to those you know will shine at the task. For inspiration, add a playful rule to structure their culinary adventure. For example: tell the friend that’s bringing dessert that they must involve alcohol and flames. When it comes to the guest list, make sure you invite at least a few people who will know everybody else at the soiree, so you’re not left doing all of the work making conversation and connecting others. 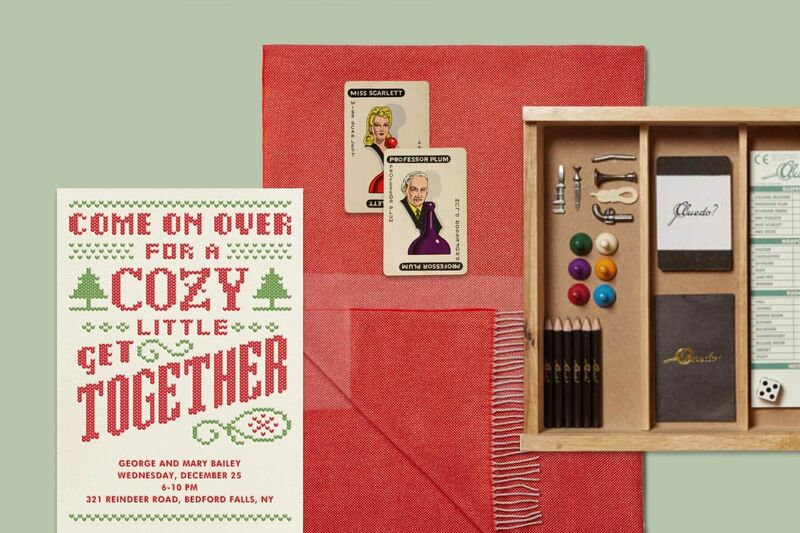 Mix and match friends and family—invite a favorite cousin and their partner, a couple of coworkers, a neighbor or two. There are almost too many good Christmas movies for the season, so we’ll leave you the hard task of picking just one. Or two. Or more. Have guests over to watch the classics and feel free to get creative with the seating. 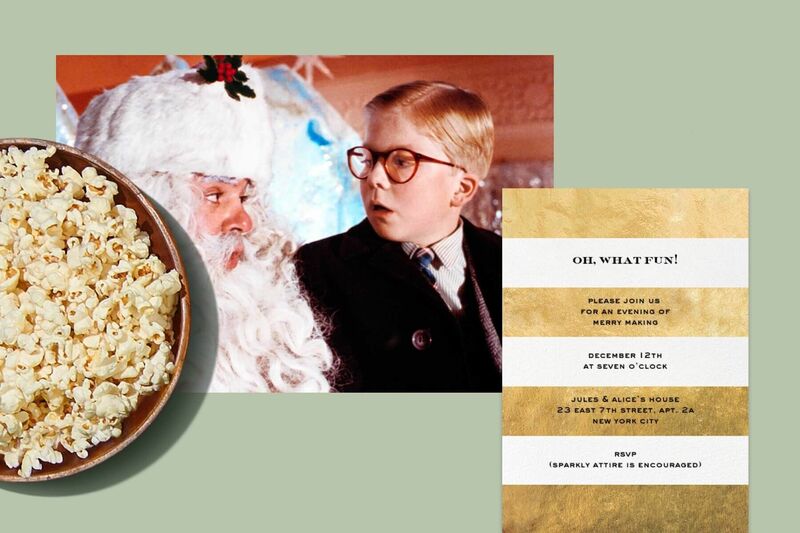 Put out haute popcorn and other finger-sized bites and for extra credit, try and make a few themed bites: flatbreads with extra cheese to accompany Home Alone, or something frozen for A Christmas Story. Just don’t get your tongue stuck. “Cozy Get Together” by Paperless Post. Frette Balze Throw, Bloomingdales.com. Cluedo cards, Cluedo. We think that a board game is a great way to ease a small group into conviviality. There’s only room for so many players, people need to work together (or at odds with each other), and having an activity gets people’s minds off their shyness. A vintage Cluedo set, a foreign edition of Monopoly, or something that’s recognizable—but just a bit off—will be a great way to start conversations, too. Since you’re taking part in a playroom activity, feel free to put out some kiddish comestibles. Boozy Shirley Temples, gingerbread men, or whatever gets you back in memories of a great childhood holiday. Everyone feels a bit youthful during the holidays, so why not just run with it? 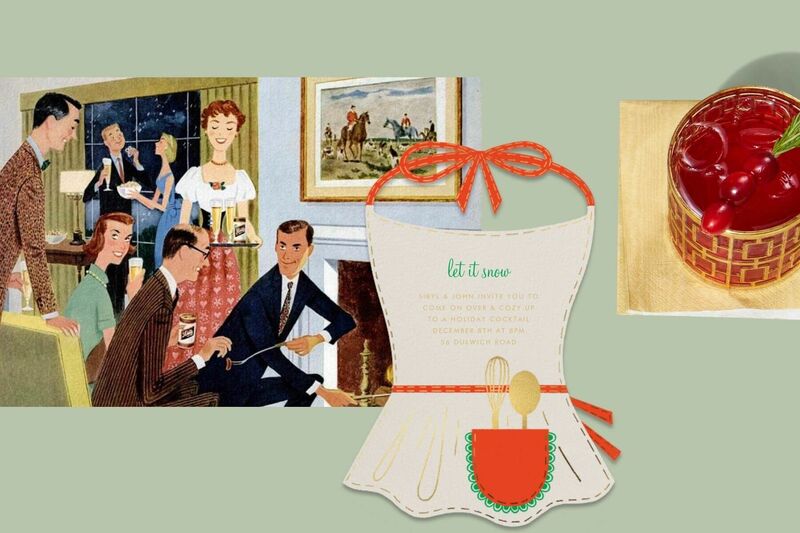 Adult responsibilities await, but let our holiday invitations take care of some planning drudgery.